Exclusive research has revealed US national team forward Landan Donovan as the most effective player in Premier League history. A total of 44 US players have featured in the Premier League era, with Donovan topping the table for the best win percentage (47 percent), the highest of any US players that have featured in ten or more Premier League games. 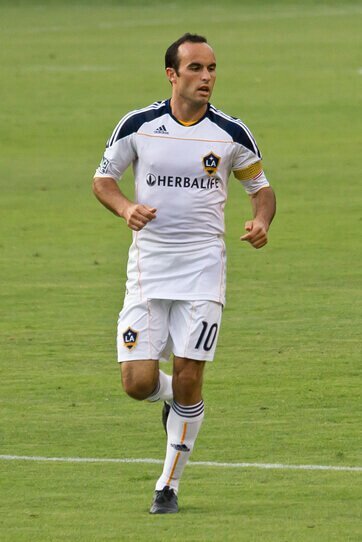 Of the current US stars currently playing in the Premier League, only Danny Williams (Huddersfield Town), DeAndre Yedlin (Newcastle United) and Tim Ream (Fulham) have featured in more than ten Premier League games – with the three struggling to match the winning rate of Donovan or former goalkeeping legends Tim Howard (43 percent win ratio) and Brad Friedel (40 percent). As it stands, Danny Williams sits in 13th place (30 percent), Yedlin sits in 19th position (28 percent), with Tim Ream down in 26th (21%). The research from us-bookies.com also reveals the most prolific scoring US player in the Premier League and the player with the most appearances. When it comes to goals scored, Clint Dempsey reigns supreme, having scored 57 Premier League goals at a rate of 0.26 goals per game during his time in London with Fulham and Tottenham Hotspur. The Texas native is widely considered to be the most successful US import due to the volume of times he found the back of the net, also chipping in with 19 assists. Interestingly, Friedel and Howard both managed to find the back of the net during their time in the Premier League, with their one goal apiece just a goal less than Jozy Altidore mustered during his 70 appearances on Tyneside with Sunderland. American goalkeepers have a strong association with the Premier League, with goalkeepers making up five of the top ten players with the most Premier League appearances. Goalkeeper Brad Friedel sits top, racking up 450 appearances during his 13 years in England. The former Everton and Man United shot-stopper Tim Howard featured in a staggering 399 games, with a win ratio of 43%. Friedel, speaking exclusively to us-bookies.com, revealed what it will take for him to be overtaken on record appearances, “Of course, I believe that every record has to be broken at some stage. The United States has a lot of very talented young players, where they get the opportunity to play in Spain, Germany or stay in the MLS or head over to England is yet to be seen, but there are plenty of players out there who if given the chance could beat the record, and I think that’s a great thing to have because it means the squad for the national team is getting bigger and better and that’s what we want.